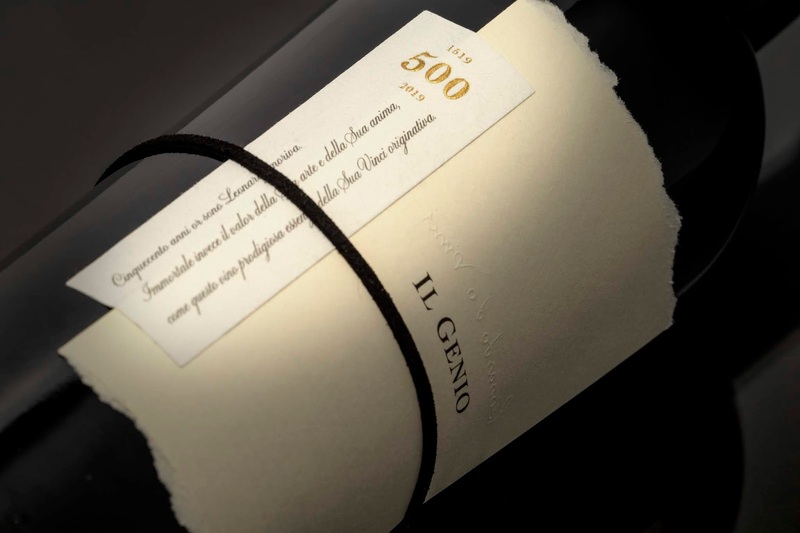 In the 500th anniversary of Leonardo da Vinci's death we have thought to celebrate the life and work of the Genius (il Genio, in Italian) creating this special packaging. 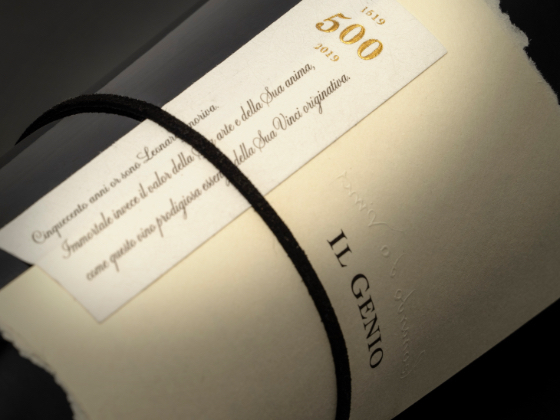 As we already worked with Cantine Leonardi da Vinci, which are based in Leonardo's hometown, it's been natural, for us, to think of them as a partner in this project. In order to bring this label to life we have decided to ask other companies, such as Kurz Luxoro, who donated both the foil and the cliche, MCC who printed the labels for free, Cordenons and Avery Dennison who donated the stock material, to join is to develop our project. 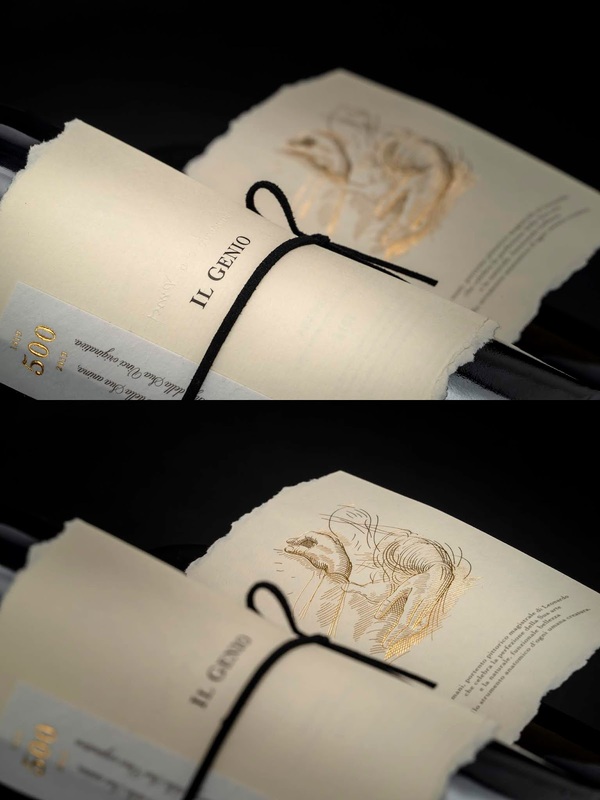 We made a packaging where the hands have a primary role, the borders of the folding part of the label have been teared by hands and, again by hand, the the label has been placed and tied to the bottle with a suede rope. The folder is held in place by a small self-adhesive label placed on its side. The opposite process will have to be done by the consumer to fully appreciate the packaging. First he'll have to untie the the rope in order open the folder and discover the hands made in gold foil. This artwork is a faithful representation of the "Studio di Mani" (Hands Study) made by Leonardo during the 15th century and located in the Windsor Castle. 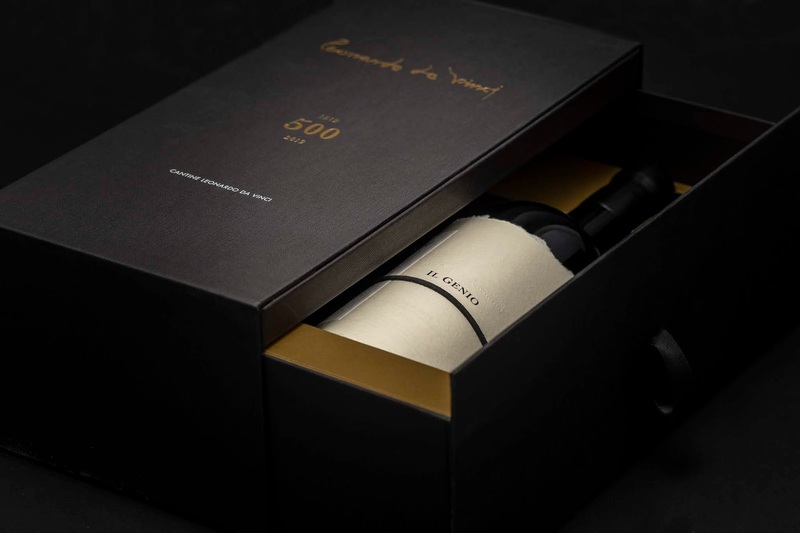 This handcrafted packaging was born thanks to the will to cooperate of all these companies that have decided contribute to the creation of a product that had to represent the unreachable skill and talent that Leonardo da Vinci had as engineer, artist, scientist. 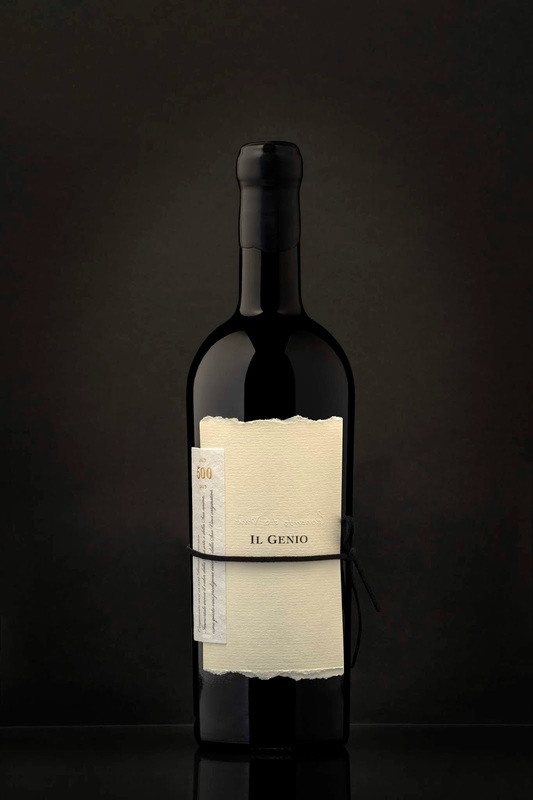 A packaging where any single detail has been thought in order to involve the use of the hands. From its ideation to its creation to its enjoyment.